SkyClub has access to multi-million dollar travel technology systems which help us to identify routings, availability, costs and performance of anything that takes off. If you’ve never flown with a particular airline, your consultant will advise you of everything you need to know before you book. For more information on the world’s most popular airlines, see our list of guides below. 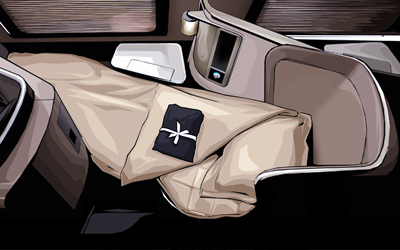 Each guide features essential information about the airline’s First Class and Business Class products, including the meal service, seat type and onboard facilities.